The doctors at Back In Balance Chiropractic are aware that each year huge numbers of people experience problems like numbness or tingling in their limbs. A lack of sensation in the hands, arms and legs can be symptoms of everything from Carpal Tunnel Syndrome or Sciatica, to having slept with one’s arm in a constricted position. In many cases medicine cannot offer a specific cause or effective cure for these disorders which makes those suffering from these issues become worried, concerned and lose hope. At Back In Balance, we have a great deal of experience successfully diagnosing and treating these conditions. That’s because we find the root cause, treat it and offer our patients long-term relief. Our goal is to return our patients to their optimal state of health and help them live up to their potential. We do this by using state of the art technology to investigate symptoms and National Upper Cervical Association (NUCCA) approved chiropractic methods to treat pain and discomfort. Although numbness and tingling are abnormal sensations that can occur anywhere in the body, these symptoms are most frequently felt in the hands, feet, arms or legs. Muscles that are too tight can pinch nerves or blood vessels. Joints out of place may compress nerves. Inflammation may press on nerves causing interference. Numbness and tingling can be serious indicators of another problem and at Back In Balance, we place the highest priority on finding out what that problem might be. We will treat the problem or make a referral when necessary. The doctors at Back In Balance practice an exclusive form of chiropractic care developed by the National Upper Cervical Chiropractic Association. The NUCCA approach targets the underlying cause of the symptom and seeks to remove any nerve interference from the spine. The NUCCA procedure is a light and gentle touch applied at the atlas (top bone in the neck) that balances the spinal column and skull to alleviate spinal stress or nerve interference. This procedure causes the healing process to be optimized. NUCCA procedures are the only techniques that correct based on precise measurements of the relationship between the skull, C-1 and C-2 to the pelvis using X-rays. Sleeping on your stomach creates an unnatural position for the spine and increases tension in the entire spine. We recommend sleeping flat on your back or on your side with a pillow between your legs. Good posture can help prevent pain and numbness issues, especially when you are seated. Sitting increases the pressure on the disc two times more than when standing erect. A lumbar support while seated will help to regulate your posture at work. We have a superb selection of products at Back In Balance Chiropractic that address these issues. Ask us which products may be the most helpful for you. We also offer instruction on proper ergonomics in the work place. Click here to see Numbness and Tingling testimonials from our patients. 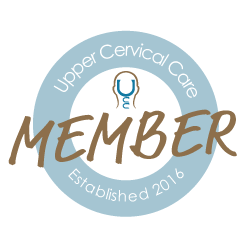 If you or someone you know has already tried everything to get help for Numbness and Tingling without considering Upper Cervical Care, why not try NUCCA recommended and approved chiropractic treatments? Relief may be just a phone call away. Call the office today at 425-437-9974. Dr. Schallmann at Back In Balance Chiropractic will be glad to discuss treatment options with you.